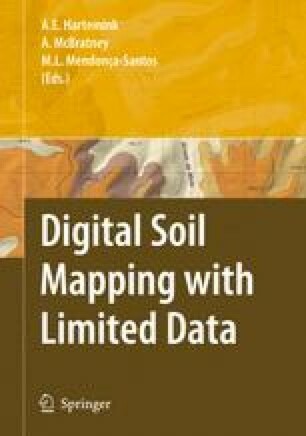 Direct assessment of land degradation globally is constrained by limited spatial data~– soil data in particular (see also Chapter 7). As a proxy, biomass has been adopted as an integrated measure of productivity; its deviance from the norm may indicate land degradation or improvement. Biomass can be assessed by remote sensing of the normalized difference vegetation index (NDVI); norms may be established according to climate, soil, terrain and land use. As a pilot for a Global Assessment of Land Degradation and Improvement, spatial patterns and temporal trends of green biomass across Kenya were analysed using 23 years of fortnightly NOAA-AVHRR NDVI data and CRU TS 2.1 station-observed monthly precipitation. Trends of various biomass indicators and climate variables were determined by regression at annual intervals and mapped to depict spatial changes. In Kenya over the period of 1981–2003, biomass increased over about 80% of the land area and decreased over 20%. Most of the decrease has been across the more-productive areas – cropland in the high-rainfall zones. To assess whether this trend represents land degradation or declining rainfall, we calculated rain-use efficiency, the ratio between green biomass (NDVI) and rainfall. Combined trends of biomass and rain-use efficiency may be a more robust indicator of land degradation in areas where productivity is limited by rainfall. Thus defined, degrading areas occupy 17% of the country: most extensively in the drylands around Lake Turkana and the marginal cropland in Eastern Province.